1-7/8in drop overlap nosing. Used over vinyl tile or resilient flooring. Protects edge of floor covering from damage at step face and provides extra traction for safety. 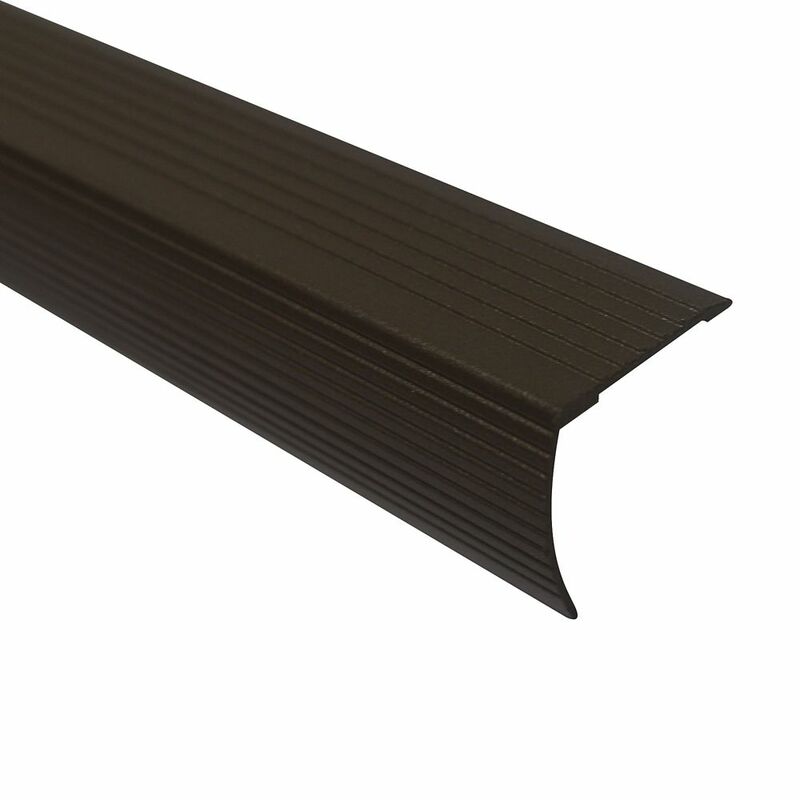 Cinch Stair Edging36 Inch Spice Protects edge of stair from damage. Easy to install - no fasteners required. Provides smooth transition between adjoining floors.